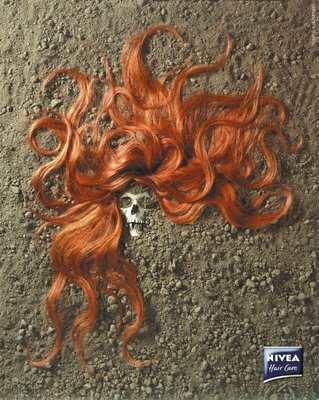 2WENTY 4OUR: Nivea Hair Care! Last month, I saw a similar idea for Milk that makes your bones stronger. 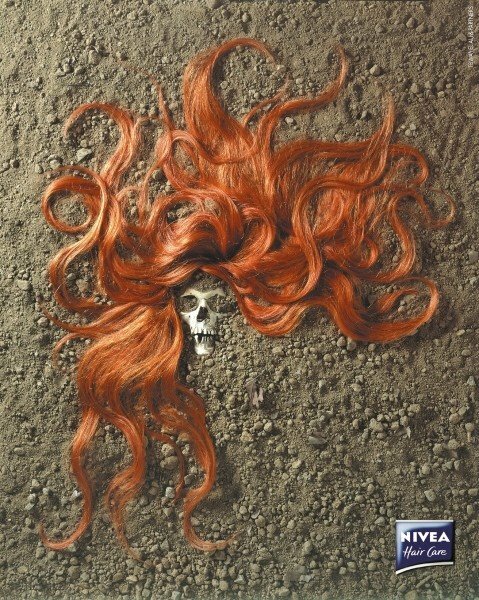 Now it's Nivea Hair Care. Anybody seen more of these?? I don't think the skeleton appraoch suits hair care. maybe if ur target segment is death metal listeners. but otherwise a boring ad. The person before me didn´t understand it. Somebody die long time ago, her body was rotten ,except her hair. At least, there is a skeleton with beautyful hair. yes, i remember an ad for "EASTPACK" or "JAMSPORT" that use a similar idea for a bag. this is creepy. It doesn't do anything for me except a laugh if this ad came out during Halloween. Otherwise it just makes me think of Night of the Living Dead.